Keys are important and that is what we misplace most of the times. There is a key for almost everything that keeps our valuable stuff safe and secure. Few people have a tendency to lose their keys too frequently and carrying multiple keys is a pain. But if there’s a problem then there’s always a solution – if carrying multiple keys is a hassle, it is better to get a master key designed that takes away some of your pain. Designing the perfect master key is an art and only an artist can do it - in this context the artist is a locksmith who specializes in designing the appropriate master key for you. Expert Locksmith Shop is a company that is unbeatable in the locksmith services arena serving the clients in Houston, TX area for over a decade. Master keys are magical because they can be used to open multiple locks, so if you have been carrying multiple keys for your apartment building or office premises, then we promise to relieve you of this stress. For putting master keys to use, one needs to get the locks rekeyed so that it is compatible with the master key and change key. 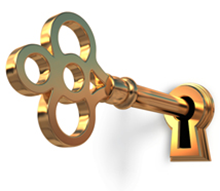 Master key operates every lock but a change key is lock specific and cannot be used for each and every lock. You really need to hire professional locksmiths for rekeying the existing locks and to have your master key developed to be certain that the system functions flawlessly. Who is to be benefitted? There are few categories where it is beneficial however it is not the same in all cases, since just one master key can open a number of locks and you are at the mercy of a single key. However, it makes sense for organizations like hospitals, educational institutions, government institutions, huge residential complexes and so on. To decide if this system is right for you, avail a consultation from the right locksmith service provider and that is Expert Locksmith Shop. Call us on 713-470-0698 today!